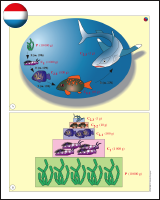 EuroBio is an extensive collection of illustrations for use in biology teaching, produced by Steven Weinberg, John Watson and Cosimo de Benedictis of the European schools. The images do not have captions; these are in separate text files. Click on the flag below to download in one of the available languages. The images come in two sets: basic and advanced to fit with the syllabuses of the European Schools' biology programme. You may download the Basic images (as PDF files) from this page -- the Advanced set is on an accompanying page. Please note that the materials remain the copyright of the European Schools (Scholae Europeae), but they can be used freely for non-commercial educational purposes.